DAY6 is back to Singapore after a year! 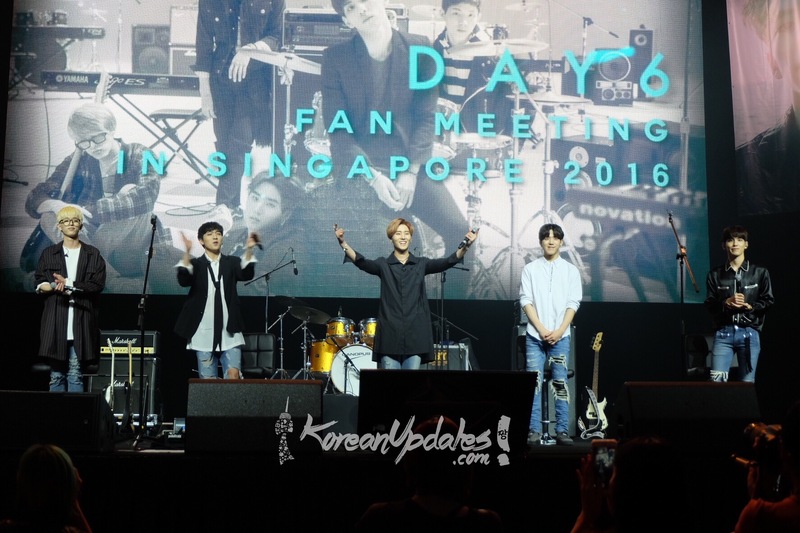 JYP Entertainment band group, DAY6 came to Singapore back again after 1 year to hold the fanmeeting with better music to return to the fans. The boys started off their Fan Meeting with ‘Blood‘ and ‘Like That Sun‘, followed by a section where the members are to grant the requests from fans, such as a dance byYoung K, a rap by Jae and Wonpil, a song byDowoon, and a cute way of (“aegyo”) by Sungjin and Dowoon. The boys continue to perform the songs ‘First Time‘, ‘Congratulations‘. The lucky fans were invited to to play song guessing game with DAY6. DAY6 ended the fan meeting with the songs ‘Hunt‘ and ‘Freely‘ as their final encore stages.